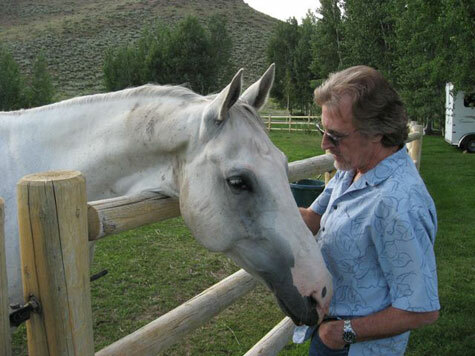 Chad's neighbor owns horses, and Chad sometimes makes it a part of his routine to visit with the horses as a way to take time out from his day. He's even gotten Jeremy in on the act before. If ever you needed pictures to prove it, now you have them. 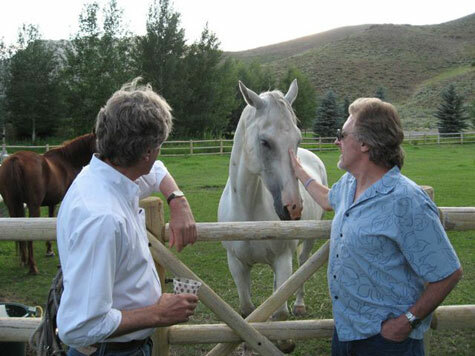 Here we feature a few photographs from a previous visit in which Jeremy had the pleasure of making the aquaintance of Chad's beautiful equine friends. Also, notice just how beautiful the area really is, especially in the final shot included here. 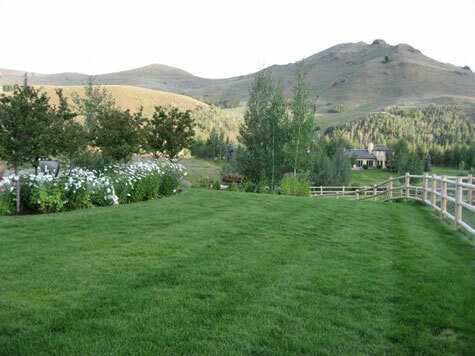 It is pretty clear what made Chad give up the smog-laden LA rat-race of the 1990s for an Idahoan lifestyle. 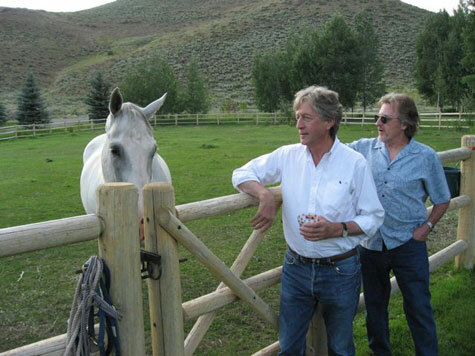 Jeremy is currently visiting a snow-covered Sun Valley, but this is no time for horse-play, as they are taking time out from their busy tour schedule to fit in some serious recording work at Chad's Electric Paintbox Studio. You'll be able to hear that recording work on several exciting future releases, including Zanzibar Sunset, their eagerly anticipated follow-up to 2008's ARK-eology, which this time puts the spotlight on new songs and material. The hidden carrots Chad brings as a treat have been discovered.